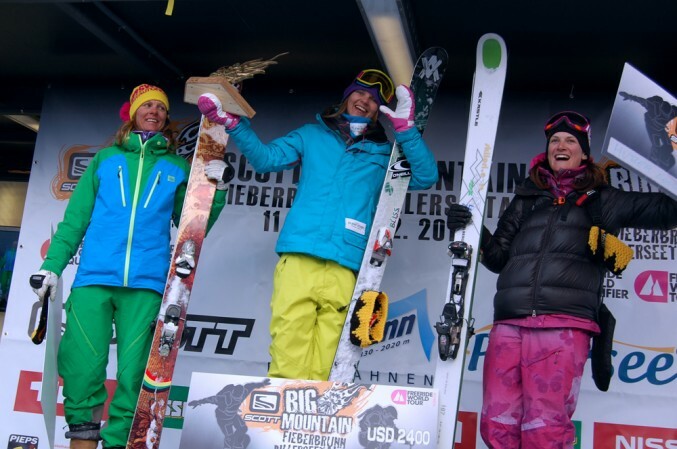 At the start of the winter, I was lucky enough to receive a wildcard for the 2nd – of a total of 4 – Freeride World Tour women’s stop, the SCOTT Big Mountain Fieberbrunn in Austria. 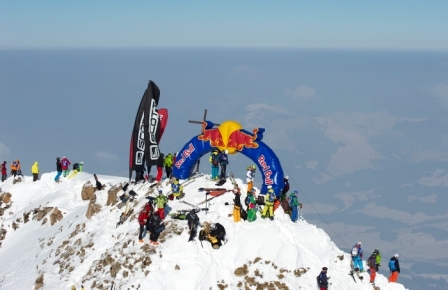 The contest, also a 3-star Freeride World Qualifier for the men, took place yesterday in generally good weather conditions. The quality of the snow on the “Wildseeloder” face was good, however due to the lack of a good snow base, options were limited to 3 to 4 main lines. As many competitors discovered, there was often only a thin layer of snow on relatively rocky terrain. 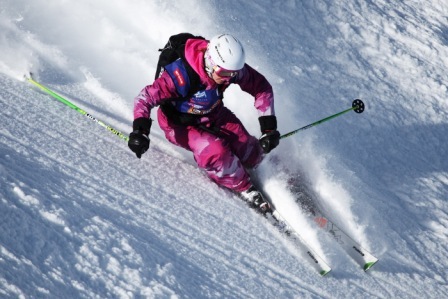 Female riders who chose a relatively easy line with good snow conditions, but able to ski fast and fluid, came out on top. 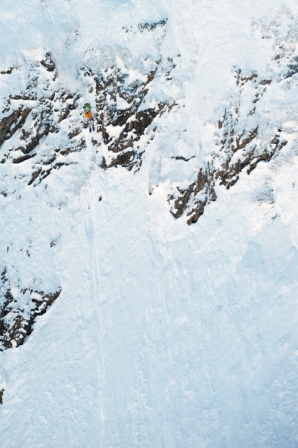 Norway’s Ane Enderud, Freeride World Champion 2009, dominated with a fast line in the furthest couloir on the skiers right, incorporating several airs. Sweden’s Janette Hargin also showed great skiing with no hesitation in a similar line, while I was placed 3rd by the judges for a fast and smooth line with one big air. New Zealand’s Janina Kuzma was close on my heels in 4th place with a well-skied, creative line she seemed happy with. In the men’s field, Austria’s Matthias “Hauni” Haunholder, a local of Fieberbrunn, and Switzerland’s Simon Andermatten, shared the podium with 2 quite different, but very impressive runs. Third place went to Austria’s Stefan Hofer, followed by my skiing buddy and fellow Austrian Stefan Häusl.